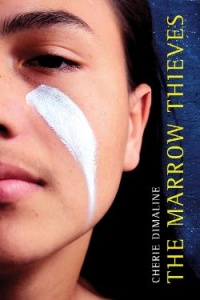 Survival is a hot topic for many reluctant readers, and the unusual premise of this one will hook them on this title that has earned its place on the American Indian Library Association MG/YA Booklist. 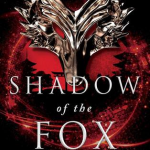 The generally fast pace of the plot will keep readers fascinated, and the brevity of the story make this a strong pick. For readers who love the survival story surrounded by the beauty of Native American culture, Touching Spirit Bear by Ben Mikaelsen is a great read-alike option while books like Spill Zone by Scott Westerfeld and The Story of Owen by E. K. Johnston will appeal to the fans of environmental dystopias. On the sandy shores of By-the-Sea Island, twin sisters Mary and Georgina run a bed and breakfast with their mother. Each year, tourists flock to the island in search of a mysterious and rare bird named Annabella. Only the twins and their mother know the real truth behind the bird: that it’s their 300 year old ancestor, because every woman in their family is a witch. Throughout the summer, the twins’ own magic will be revealed through loss, love, and secrets. Although a magical realism novel, Summer of Salt is able to properly balance a fun coming of age beach read with a haunting exploration of sexual assault and magic. By-the-Sea feels like a magical town you can’t help but love (i.e. Gilmore Girls’ Stars Hollow) with characters like old friends with whom you’d want to sit and eat ice cream. Katrina Leno packs a cast of well-defined characters, the perfect setting, a hint of romance, and a dash of magic in a book that is ultimately an amazing story on horrible moments of our life and how we grow up and face them with the people we love. 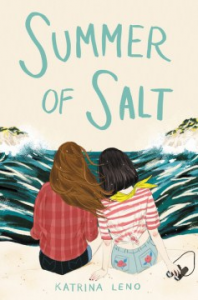 Summer of Salt reads as if the movie Practical Magic and the book To All the Boys I’ve Loved Before by Jenny Han had a magical gay daughter on a beach. Give to teens who love Gilmore Girls, girl power, queer romance, and books by Nina LaCour. 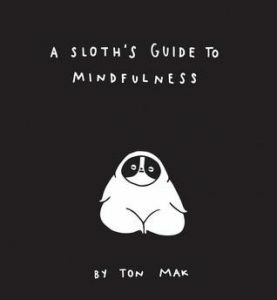 Follow along with a roly-poly sloth in this gentle book containing simple mindfulness exercises. This calm, tree-dwelling friend shows that it’s easy to practice mindfulness anywhere (even while hanging upside down in a tree). Teens are incredibly stressed, and the mindfulness practice here is quick and simple. Readers follow the sloth through a typical day and the many challenges that life presents. 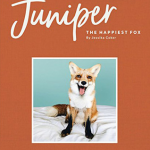 The practice encourages acknowledging all emotions, slowing down, and practicing self-care. The text is easy to follow, without any jargon or didacticism that may discourage a reluctant reader. The minimalist color palette of black and white is eye-catching and attractive. Teens who were drawn to A Little Book of Sloth by Lucy Cooke (or really, anything involving adorable animals) will reach for this book. Fans of Steven Universe will appreciate the artwork and the positive message of peace and self-acceptance. The soothing tone of A Sloth’s Guide to Mindfulness recalls Bob Ross, if Bob Ross were a sloth and lived in a monochromatic world. Kylene reluctantly returns to her home town to live with her grandfather after her father, an FBI agent, is framed for murder. 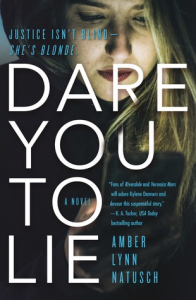 Dreading her return, Kylene only wants to prove her father’s innocence, but she’s haunted by a hot-tub photo incident at a party that forced her to flee in shame two years prior. 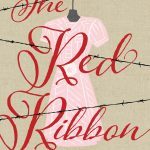 While investigating her father’s framing, she finds herself embroiled in her small town’s many dangerous secrets. 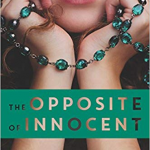 Kylene discovers that her humiliating and demeaning photo scandal may be more connected to her father’s case than she ever expected and she becomes more determined than ever to avenge her father and discover the perpetrator of her own harassment. 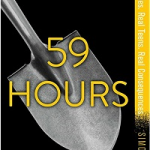 Quick paced and suspenseful, this pick will satisfy mystery, legal drama, and crime fans but will equally appeal to readers interested in a more issued-based story. Natusch covers current topics such as sexual harassment, bullying, and the fairness, or lack thereof, of the justice system. Kylene’s determination and fearlessness to uncover the truth will inspire teens while the not so neat ending will leave readers eagerly anticipating Kylene’s return to sleuthing in the next installment. Fans of Veronica Mars will devour this suspense filled story. Give to readers of April Henry or Kara Thomas’ Little Monsters or The Cheerleaders. Next Post What Would Anne and Maud Read?